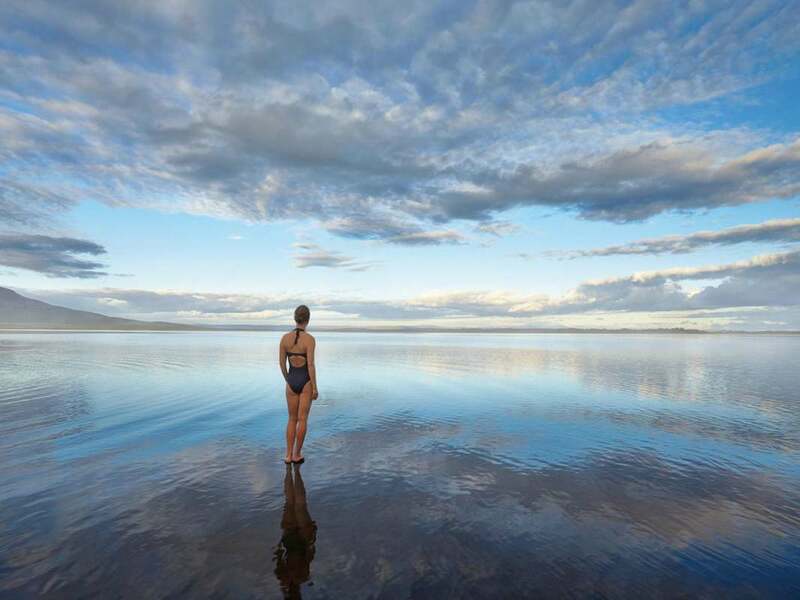 Since 1929, locals have been enjoying the healing powers of the natural steam baths by Lake Laugarvatn. Hot, healing steam simmers directly from the ground through grids in the cabin floors of the three traditional steam rooms. The temperature of the steam varies depending on the temperature of the hot spring and weather, usually between 40°C (104°F) and 50°C (122°F). Humidity is very high in the steam room cabins. Grids in the floor of the steam rooms allow guests to hear and smell the boiling natural hot spring right underneath, creating a natural and unique experience. 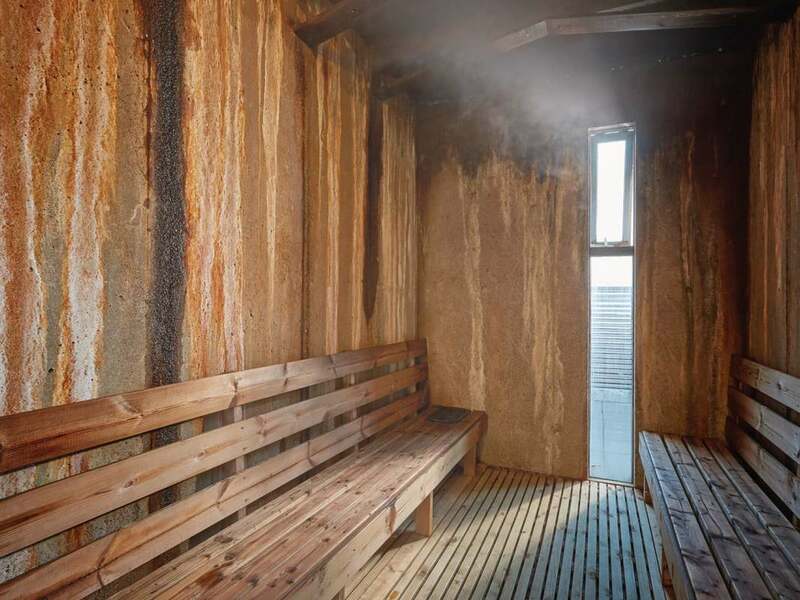 Lauga, Sæla, and Viska are connected outdoor mineral baths that vary in depth, size and temperature. 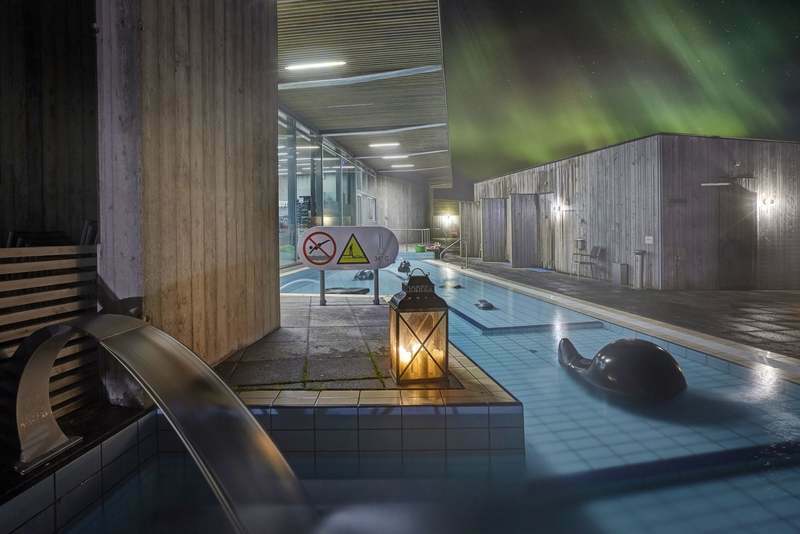 The pools and hot tub are perfect for both relaxation and recreation, featuring playful artwork in stone made by Icelandic artist Erla Thorarinsdottir. Viska, the hot tub, is built at a slightly higher level, providing a panoramic view of the beautiful surroundings while the healthy water nourishes both body and soul. Next to the steam room is Ylur, a Finnish-style sauna. 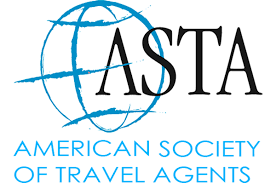 The temperature is between 80°C (176°F) and 90°C (194°F), with a lower humidity than the steam room. Sit back and enjoy the beautiful lake view through the large window. 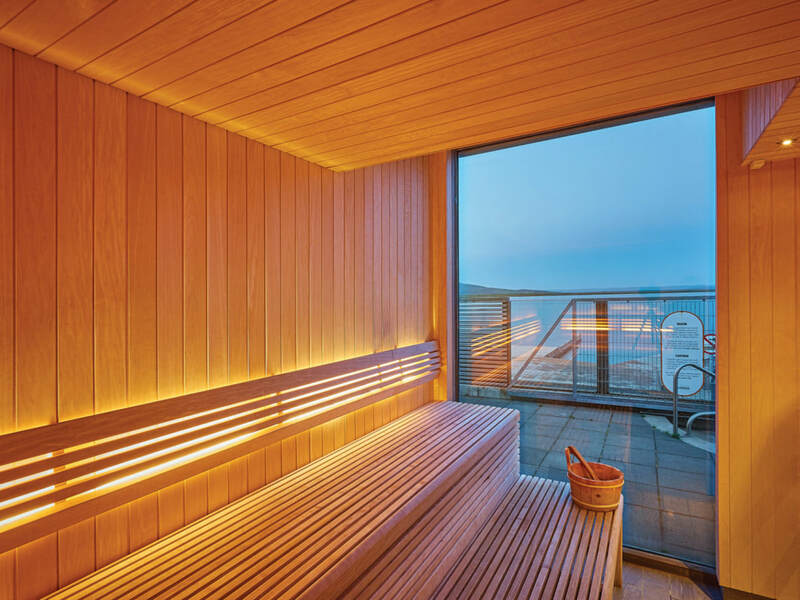 For Finnish people the sauna has been an absolute necessity for centuries, a place to relax with family and friends, as well as a place for physical and mental relaxation. Completing the ensemble is the lake itself and the beach. Bathers can walk into the cool lake from a pier or walk on the warm black sand beach. 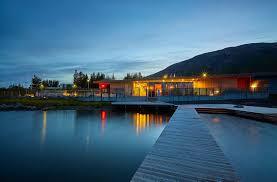 A cool dip in between the hot steam rooms and sauna is a refreshing temperature shift for the healthy hearted. Cold bathing is believed to have beneficial health effects, such as improving blood circulation, speeding up muscle soreness and recovery. It has also been shown to be beneficial for those suffering from arthritis and other joint illnesses.